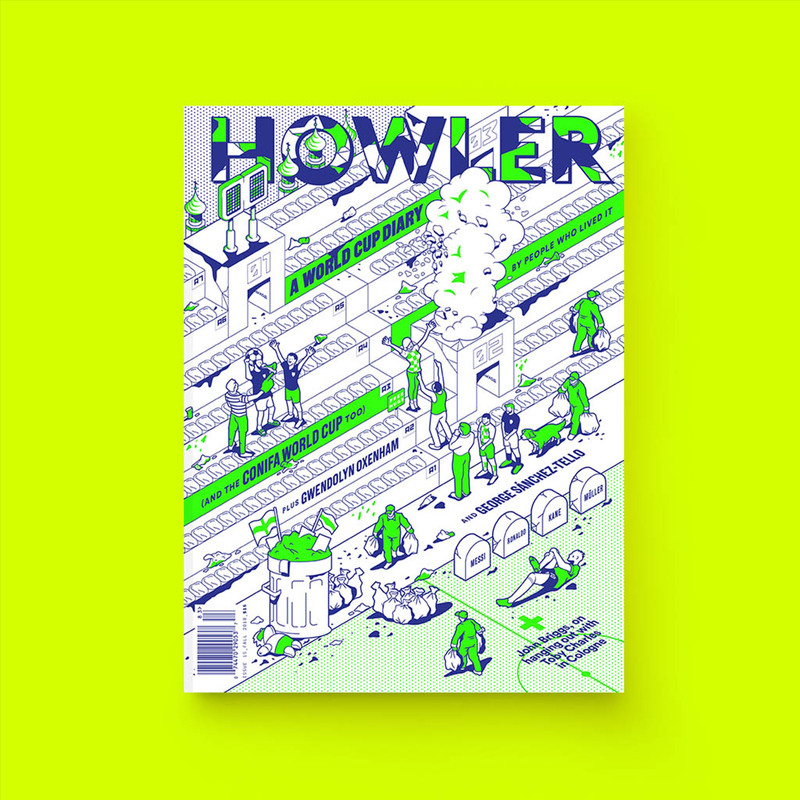 During the World Cup, Howler will feature a different writer each day reflecting on the action, their experience of the day’s games, or just offering a consideration of what they’ve seen and felt so far. Today, Matt Kirby wonders at the oddity of the Third Place game. As neighbors France celebrated Bastille Day and prepared for the World Cup final, Belgium did the double over England with a decisive 2-0 victory and clinched bronze in the third-place playoff. Football did not return home to England, even in the guise of a third-place finish, largely because Belgium scored goals and England did not. And yet Harry Kane still looks set to scoop up the Golden Boot (thanks, Panama!). Despite failing to add to his tournament tally in the traditionally high-scoring playoff match, his closest competition, Romelu Lukaku, couldn’t muster any end product either. 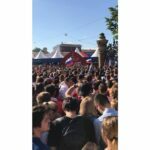 No third-place playoff since the 1974 Poland defeat of Brazil 1–0 had produced fewer than three goals, but Russia 2018 has been all about open defiance of age-old World Cup tropes. The people would have a low(er)-scoring playoff and they would like it. The first five minutes omened a more prolific outcome when a lesser-spotted non-Premier League player and Paris St.-Germain midfielder Thomas Meunier scored in the fourth minute, burying a Nacer Chadli cross with an attacking shin in the box. Jordan Pickford fended off waves of attacks from the hellish trident of Lukaku, Eden Hazard and Kevin de Bruyne, keeping the embers of English hope alive, but de Bruyne delivered a gift-wrapped through-ball to Hazard who smacked it past Pickford in the 82nd minute. Thibault Courtois kept his first clean sheet since two weeks ago, or, the last match with England. The marquee event in Moscow could still have a hat-trick or two up its sleeves, but Antoine Griezmann or Kylian Mbappé each currently sit three goals short of Kane’s high score of six. Either would have to surpass Geoff Hurst’s historic hat-trick in the 1966 final to pull into the lead. Or match Hurst to match Kane. The hauls will/would likely be incredible to behold. The final group stage match between the pair in late June featured a battle of the benches, second-string sides vying to avoid victory and the attendant quarterfinal collision course with Brazil. Belgium lost by winning, but beat Brazil anyway. Both teams went for victory. 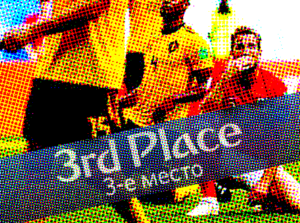 Belgium won third place on merit. England fought well and return home with heads high, but the Cinderella story at a World Cup it nearly boycotted had more of a Grimm’s fairytale finish than Disney fans would have wanted. Countries don’t always take the so-called consolation match as seriously, which explains its often high-scoring nature. Coaches omit injury-prone players from the most litigious clubs and give extended squad players game time, meaning the match rapidly can devolve rapidly into a glorified friendly and less experienced defenders hemorrhage goals. It didn’t happen, but it could have. But so too could there have been a cutthroat parallel tournament the whole time, where the United States, Italy and the Netherlands got another shot but again blew it early days. Two teams compete after a grueling month on the gauntlet slog, fueled by raw fear. Losers of all consolation bracket matches get sacrificed to the gods of FIFA, cut down in front of the benevolent board of the FIFA Executive Committee. It could rival the actual main event, outdo it. You would know the path to victory by the trail of the dead. Vladimir Putin could stride to the edge of a coliseum balcony beside Gianni Infantino, gauge the bloodthirst of the masses and give the dreaded thumbs-down. It won’t happen. Not that the FIFA Executive Committee and/or the Kremlin wouldn’t have explored it—just that, again, when you get into compensating clubs for capital losses, it gets sticky quick. 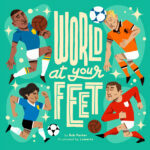 Rob Kirby is a freelance writer who writes about the overlap of soccer and political propaganda. He would like to one day visit Russia but realizes it now may not be possible. You can follow him on Twitter at @robertpkirby. He’s written written for The Blizzard, ESPN and Vocativ.com.